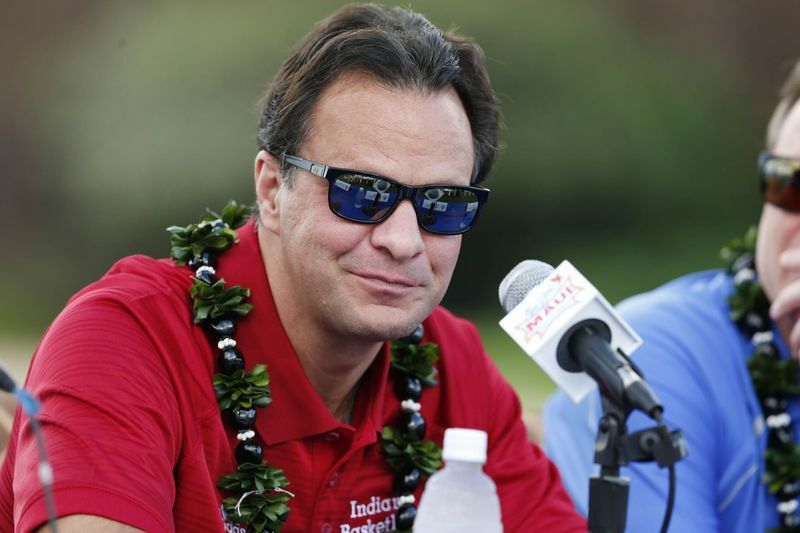 Browse: Home / Main / KSR Show Thread 1/15: Are you ready for some Tom Crean? KSR Show Thread 1/15: Are you ready for some Tom Crean? Tonight Tom Crean will once share a sideline with John Calipari when the Kentucky Wildcats travel to Athens to take on the Georgia Bulldogs. Matt Jones and Ryan Lemond will prepare you for the game, and make jokes at Crean’s expense, on today’s edition of Kentucky Sports Radio. Crean is going to be so amped to play UK again. This will be a put down the Twitter and just watch the game night. I started to have some respect for Crean as an analyst on TV…he was pretty good at that. As a coach, he is decent; but generally his teams are weak defensively. Crean and Pearl were good analysts. I miss them being on there. Also, Steve Lavin was really good. Lavin was good; Pearl was annoying. Whew, Matt is pleasant already today. Hey Hey, any time dook loses it’s a glorious day! Have you all seen the Adam Gase flying taco meme with his crazy eyes? Hilarious! What was up with those eyes – was he channeling Marty Feldman? That’s funny. If you watch Frank Martin, he does the same thing….scary. Hahaha! What the hell is wrong with that guy?? Ha ha ha! It was already funny, but with the taco it’s hilarious. Except Frank Martin shoots fire from his eyes. We need a Martin / Gase staring contest. I think Frank Martin actually does shoot fire from his eyes, but he tries to keep it in check during games. I always watched the Kansas State games…just to watch Martin on the sidelines. Ocasio-Cortez also has crazy eyes. Martin doesn’t have crazy eyes…he has a psycho face altogether when he’s raging…which is most of the time on the sideline (Cal rages constantly too, to be fair…he just doesn’t have near the face or eyes some of these folks have). Well, that was my lone comment today. Too busy with the Penske file to listen/comment (okay, that joke is stale…sorry). Cal doesn’t have the crazy eyes, but it’s awesome how you can read his lips a mile away. Totally agree that the sad dook students are one of the best parts of a dook home loss! Anytime Duke looses I celebrate and on their home court doubles the pleasure for me. Matt, it’s not a frivolous lawsuit when the neighbor attacked the guy and got arrested. Matt’s (slanted) position is that they had a fight. Not that one guy was blindsided by another and had to be hospitalized. That trial will be SRO…get there early. So defensive about the Eddie Gran/UGA thing. Weird. Yes, but why does the obsessed Georgia dude keep calling to try to tell Matt he’s wrong? That’s at least the second time the guy has called. Well, he’s an obsessed Georgia fan just doing what obsessed fans do. If Matt is so secure in his belief that his source is correct, there no need for him to get all butthurt about it. I think the fan calls in just to get him riled up, honestly. Yeah, that’s weird too Jdub. The guy’s just still upset Kirby Smart gave away the SEC championship. I can’t imagine having so little to do with my time that I would call opposing fans radio shows to try to start crap. How lame. Find a better hobby dude. What ever happen to the Georgia coach that one the Sec trnt. back when the tornado hit. Can’t think of his name. I think Dennis Felton was still there at the time. No idea what he is up to now. I think I disliked him more than any other coach of a just ok team ever. Dennis Felton? I think he’s at Cleveland State. He also coached at Western Ky.
Are the Bahamas really considered overseas? Since Cal seems to be struggling on the recruiting trail, and Pelfrey is deemed to be a good recruiter at ‘Bama, it would be intriguing for me to see him come home to UK as our head recruiter. How about Mark Pope as a former Wildcat as a coach? Leonard Hamilton is 70, too old. True but I think he’s getting his blood swapped out ala Keith Richards. I think Keith Richards just went ahead and embalmed himself while still alive. Or maybe I should say he pickled himself? Keith goes in for an annual fluid and filter change – blood transfusion and a liver transplant. Count K is immortal as long as he stays out of direct sunlight and avoids pointy wooden objects. Don’t forget garlic and crosses. Matt mentions John Prine – I have always liked his music. I was not aware of the battle he had with squamous cell cancer until recently. Prine nearly lost his ability to sing and speak, and it changed his vocal style, but he is still going. A friend of mine had to deal with that, and it nearly killed him. Started as a small bump under his tongue, and not long after that he had a huge bulging tumor the size of a lemon on his neck. Had to have a feeding tube put in and wore a Clive Barker looking mask for his radiation treatments, which baked him from the inside out. But he beat it! Toughest dude I know. Hate it when I see someone that reminds me of somebody, and I can’t think of whom it is. I watched a rerun of the old Route 66 TV show Sunday; and there were two guys, and it bugged me. Turned out they were actually the guys…James Caan and Martin Sheen when they couldn’t have been over 20 yrs old. When I was out at a bar one night I was next to a guy who looked just like a guy I was aquainted with from HS. Couldn’t remember his name, but I started a friendly conversation with him since he seemed to recognize me as well. Two minutes into the conversation both of us realized that we had no idea who the other one was and had never met each other. We had a good laugh and a clink of our beer glasses. Matt has a point – if the WH kitchen is shut down, where is Trump’s food coming from? Seems like he would have been bellyaching about it before now. Hell, what he spent on 300 burger’s, etc., is probably less than he spends on an average day on the golf course. He probably has his own chef anyways. He eats fast food constantly, so he probably just gets McDonald’s same as usual. I was puzzled why he thought offering them cold fast food burgers was a good idea, but if that’s what he likes to eat I guess he thought it was a nice thing to do. Maybe he just thought that college students would be used to cold fast food.